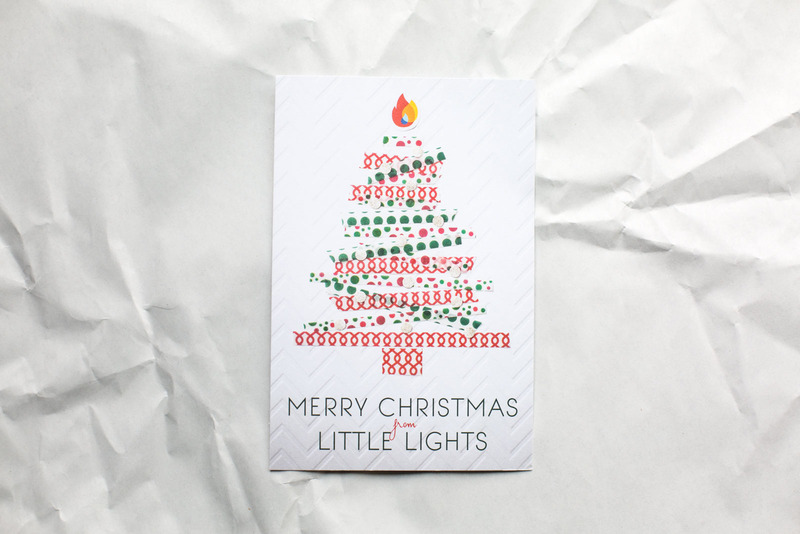 In an effort to be cost-efficient, while still delivering the warm touch of a personally signed Christmas card, Little Lights shifted to sending a postcard. This move saved money on postage and envelopes. The design cleans up a child-friendly arts and crafts idea and integrates the logo as the light at the top of the Christmas tree.